T.E.M.S. 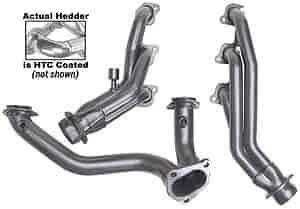 (Tubular Exhaust Manifold System) is built specifically for late model vehicles to hook up all emissions hardware on each individual application. T.E.M.S. is 50-state legal and approved by the California Air Resources Board to comply with state and federal emissions laws. Does Hedman 89406 fit your vehicle?